The first-ever Super League Triathlon Corporate Mix commenced at the weekend in Jersey – with 17 teams from nine different corporate entities competing alongside many of the world’s top elites at Super League Jersey, the second event in the international Super League series. After a weekend’s racing the top three corporate teams were: Team Comprop, First Names Group Team 2 and Ravenscroft Titans. 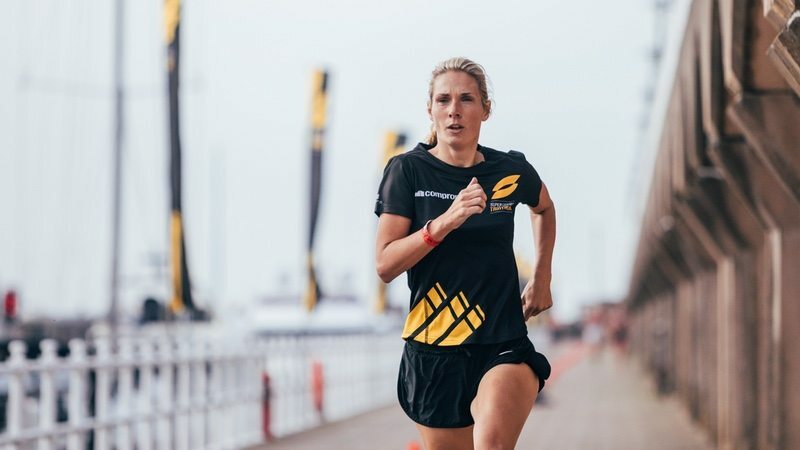 According to a release from the Super League Triathlon team, the Corporate Mix format has allowed the local community and businesses to be part of what has become one of Jersey’s biggest sporting events. As the weekend’s racing got under way, local teams were in fact among the most competitive, with the top six fastest teams coming from the Channel Islands. Comprop is a leading privately owned property developer of both commercial and residential sites in Jersey and Guernsey. Its corporate mix team is composed of some of Jersey’s most dedicated athletes including pro coach Nick Saunders and full-time triathlete Ollie Turner. After assessing the course and the safety needs of what were largely age-group participants, the race officials decided to change the Corporate Mix run course to follow the pier, instead of taking place on the same section of road as the bike course since not all cyclists would be off the course by the time the first runners would start. Officials also implemented the Sprint Pursuit format instead of the planned Enduro (non-stop swim-bike-run-swim-bike-run). The Sprint Pursuit involved two stages of swim-bike-run with ten minutes of rest between stages. At the start of the second stage, swimmers were released according to the previous stage’s finish order as well as the time gaps between their team finishes.